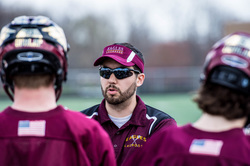 The Dunlap Lacrosse team was founded in the fall of 2011 as a club at Dunlap High School. We started with just over 20 players and fielded one team for all games and tournaments. Many of the players didn't have playing experience. We had to rely on a few 7th & 8th grade players to help round out the roster. The Club continued to grow and improve. The kids really developed over the course of the 2012 and 2013 seasons. For the 2014 Spring season we had 47 players from Dunlap, Peoria, and Elmwood. We set our goals to win the CILAX conference championship. We fell short of the goal but remained upbeat as our youth program was growing and developing. We had 45 players participate in the 2015 Season. It was our most successful season yet. Dunlap finished the year with a 22-2 record and our 1st Illinois High School CLUB State Championship. In 2016, Dunlap formed an IHSA Co-Op with Richwoods and competed for the first year in the IHSLA as a member of the South Suburban B Conference fielding both JV and Varsity teams. The Varsity team won the Marmion Cadet Challenge and advanced to the 3rd Round of the IHSLA playoffs.